*Use the optional ER-RMKIT for rack-mounting. Ubiquiti Networks introduces the EdgeSwitch® 10X and EdgeSwitch 10XP, the most affordable managed switches with SFP ports. 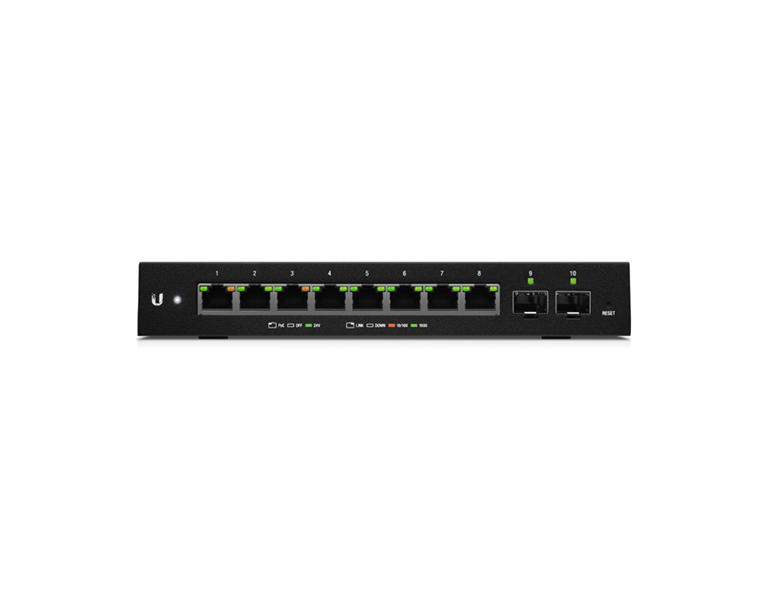 For the EdgeSwitch 10X, model ES‑10X, eight Gigabit RJ45 ports offer copper connectivity with PoE input on port 1 and 24V PoE passthrough on port 8. Two SFP ports offer fiber connectivity. 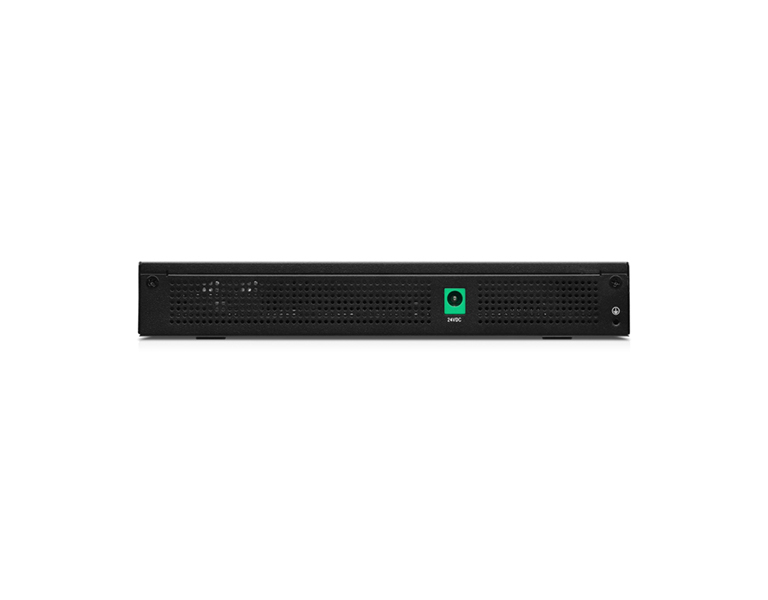 For the EdgeSwitch 10XP, model ES‑10XP, eight Gigabit RJ45 ports offer copper connectivity with 24V PoE output, while two SFP ports offer fiber connectivity. Delivering top price/performance value, the EdgeSwitch offers the forwarding capacity to simultaneously process traffic on all ports at line rate without any packet loss, as well as an extensive suite of advanced Layer 2 switching features and protocols. For its total, non-blocking throughput, the EdgeSwitch supports up to 10 Gbps. The EdgeSwitch includes two SFP ports, providing up to 1 Gbps uplinks. To simplify your infrastructure, the EdgeSwitch 10XP offers configurable 24V passive PoE on all RJ45 ports, while the EdgeSwitch 10X offers configurable 24V PoE passthrough on port 8. The browser-based configuration interface offers intuitive control using a redesigned UI. Management is also available through the Ubiquiti® Network Management System (UNMS™), which is a comprehensive management controller featuring an easy-to-use UI. You can use a single control plane to manage registered EdgeMAX® devices across multiple networks and sites. Sporting an updated design for an improved user experience, the EdgeSwitch Configuration Interface allows you to configure and monitor switch features in a graphical user interface. It offers intuitive management with a virtual view of the ports, showing physical connectivity, speed, and PoE status. *Use the optional ER-RMKIT for rackmounting.